where Foobar is some class that is being wrapped, then you are encountering a swig-3.08 bug. Unfortunately this is still the official package in Ubuntu 16.04. You can vote for the issue here. But lately some of my favorite plugins have stop working due to an old plugin that hasn’t been recompiled. So I’ll try to document the process of checking out the jEdit code to recompile it from scratch and recompile the plugins I depend on. If I have time, I might make a Docker image to do this so it’s easily repeatable for others too. # install the ant builder tool if necessary sudo apt-get install ant cd jedit_ws ant # ... BUILD FAILED /home/nhilton/development/jedit/jedit-trunk/build.xml:268: Unable to find a javac compiler; com.sun.tools.javac.Main is not on the classpath. Perhaps JAVA_HOME does not point to the JDK. It is currently set to "/usr/lib/jvm/java-8-openjdk-amd64/jre"
It is currently set to "/usr/lib/jvm/java-8-openjdk-amd64/jre"
Oops, I guess I need a java compiler. I tried to install openjdk-9-jdk but got an error. Stackoverflow suggested the command below. This problem turned out to be a bug in apache ant 1.9.6. Okay, so I got really excited about p5js, checkout their examples page. But I struggled a little bit to include a sketch on my wordpress blog, the canvas was showing up at the bottom of the website as I discussed in my previous post. 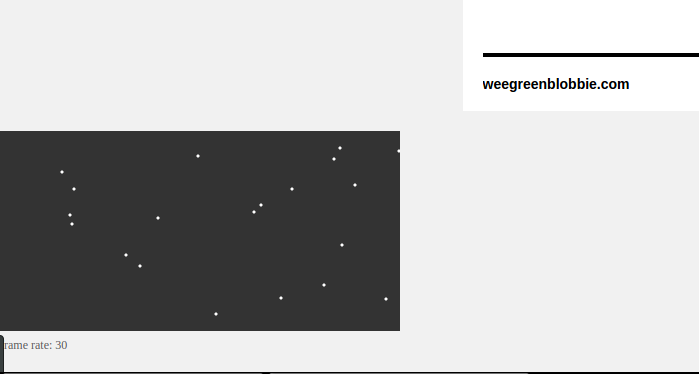 I got some help from the folks at p5js and they pointed out their embedding page. While there I found the p5js-widget tool. It was very close to what I wanted, but since I’m about to do more sketches, I thought it would be a good project to try to write my own widget. I still have a few bugs to iron out. p5js-player is on github. Yesterday I discovered the p5.js project by watching this video series. I got excited and wrote my first sketch “bouncing points,” a classic that I once wrote as a java applet back in the 1990’s. Very simple to do with p5.js. I look forward to writing more experiments! ERROR: Your browser doesn’t support the object tag! As you can see, you might not notice that it’s working unless you scroll all the way down the page! You have to size the object tag large enough for the created canvas to show up without scrollbars but it looks good on my PC. Look, I can even insert a 2nd canvas! It also looks to be running fine on my Android phone! Success! I’m sad to report that nsound is broken by default on Ubuntu 16 until I get time to fix it. The main issue is that the default swig package is swig3.0, for some reason this breaks most things in the Python module. I’ve created an issue here. Installing the swig2.0 package fixes most of the problems. 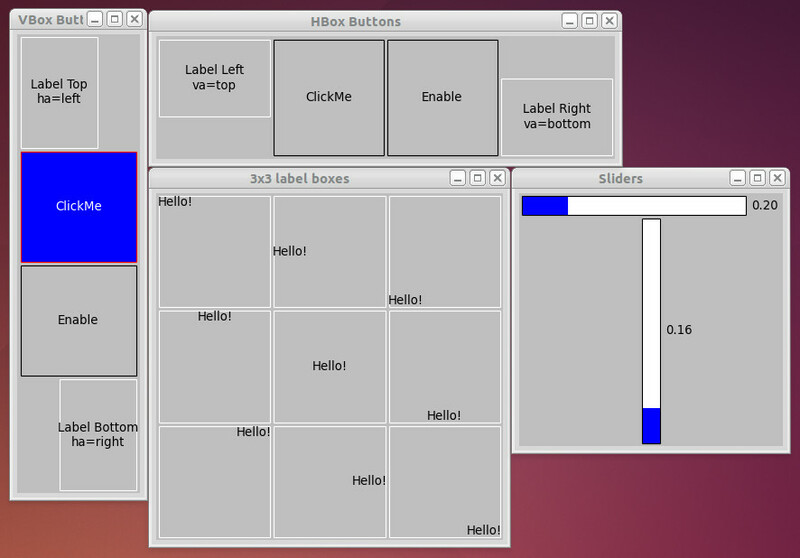 I’ve just released a package of widgets implmented with Matplotlib, this allows you to create simple interactive applications without having to write specific GTK, TK, QT code. It provides simple layout with horizontal and vertical boxes, just stuff widgets in them and it will do the layout for you. I just wrote a little tool to help with your Python development called pith. Use your system’s package manager to install Matplotlib & Numpy if you don’t already have them installed. Once you have to dependencies installed, run rank_photos.py on the command line passing it the directory of photos. photo. After n-rounds, the results are reported. After the number of rounds complete, ranked.txt is written into the photo dir. 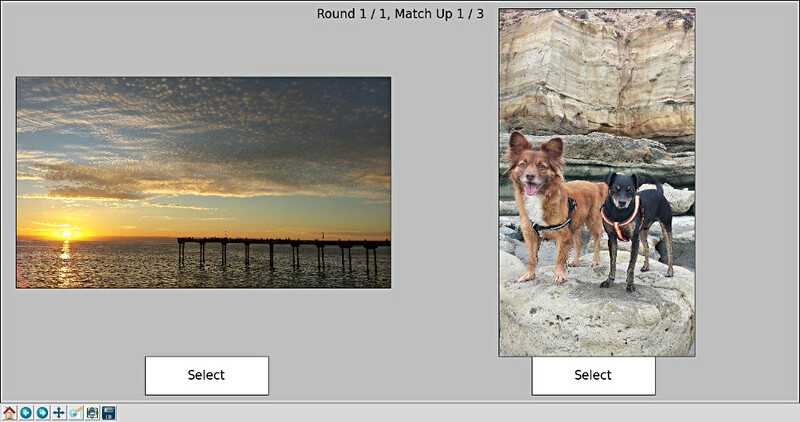 After completing N rounds of ranking, a file called ranking_table.json is written into the photo dir. The next timerank_photos.py is executed with the photo dir, this table is read in and ranking can continue where you left off. You can also add new photos the the directory and they will get added to the ranked list even though they weren’t included previously. If you run the program again, the cached data is loaded and new match ups can be continued using the cached data. If new photos were added, they also get added to the table data and are included in match ups. The code has been posted to github. 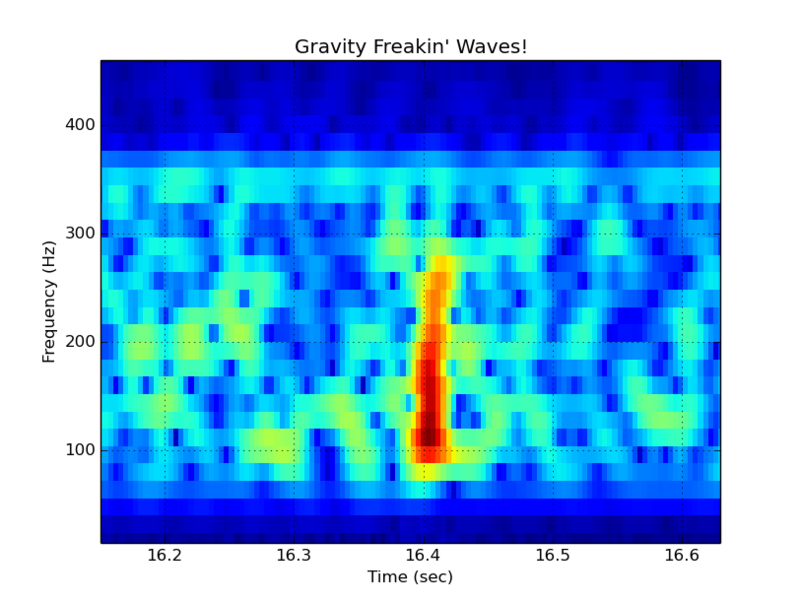 Listening to Gravity Waves with Nsound! With all the excitement about LIGO and gravity waves, I’ve downloaded the raw GW150914 detection data for from here. The file I downloaded was 32 seconds sampled at 4096 samples per second. 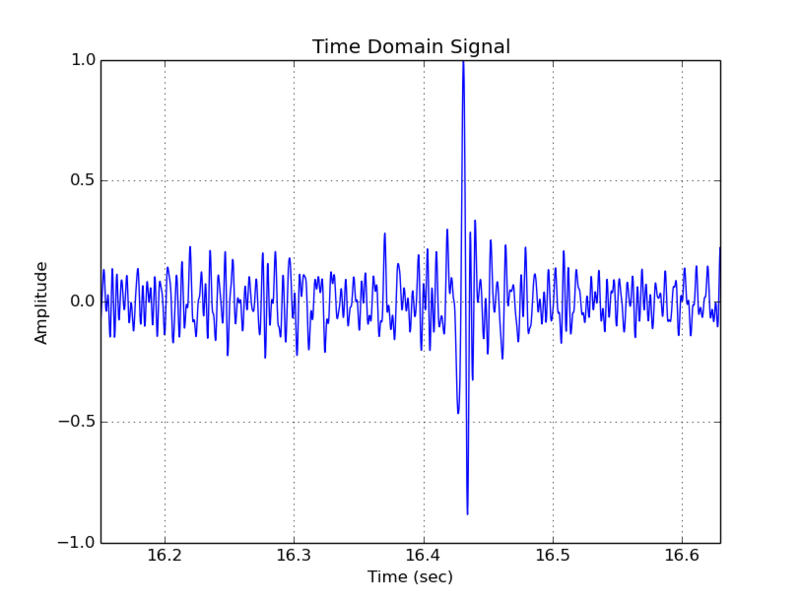 Next I reviewed some of the LIGO tutorial on signal processing here, and proceeded to write a Python script using Nsound to process the data. Talk about finding a needle in a haystack! Link to the .wav here. # window to smooth the start and stop of the data.